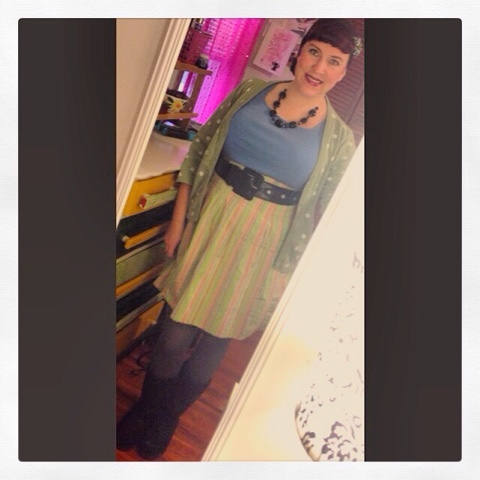 #ootdsocialclub #plussizefashion #everydaypinup I took the colors of spring, light green and blue, and winterized them with some dark grey and black accessories. A little bright spot during the darker days of winter. Striped skirt and polka dot cardigan! It works because everything else I'm wearing is a very basic, neural color.